The new year is starting with a very busy schedule of events, theater and more. I am finalizing a one man play entitled “Roosevelt”! that will premier at the Donna Reed Theater in February. This is an exciting time as I pull together the set, finalize the script and add the elements that make a play engaging, memorable and entertaining. Roosevelt himself said “It is better to wear out than rust out” and there are many days where being worn out is how I finish my day. This set will be used in inside events I do only, and mostly Theaters. 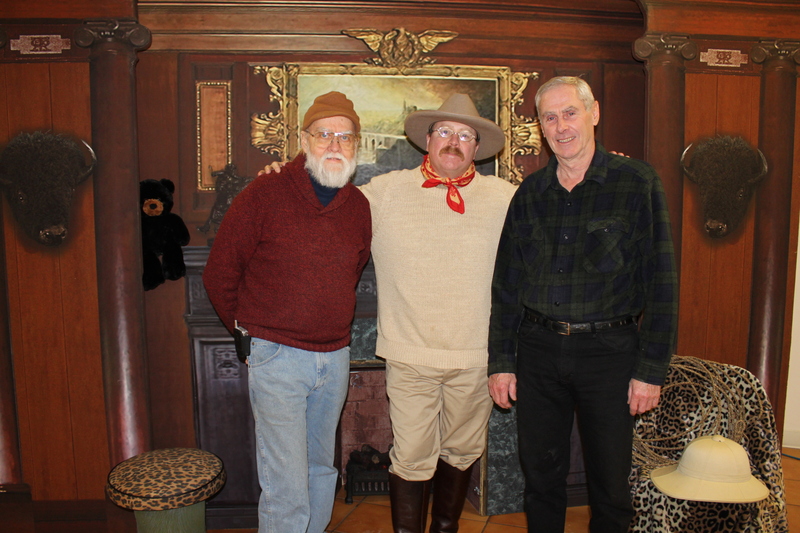 However, there may be a few opportunities where I could include it in other Roosevelt presentations, such as the one I just did for the Mountain Lake Historical Society, which you can read about in the “Travels with Teddy” portion of this blog. My calendar is filling fast and I am blessed to be able to recreate a most amazing man. I am looking forward to the adventures!